Welcome to India, You will be received by our Times India Travels representative or your driver at international airport and assisted to your hotel. In the Hotel the representative / driver will hand over your documents regarding the tour. Delhi is one of the oldest continually inhabited cities in the world. Having been the capital of several empires in ancient India, Delhi was a major city in the old trade routes from northwest India to the Gangetic Plains. Overnight stay at New Delhi hotel. After breakfast drive to Shekhawati region to a town called Nawalgarh/ Dundlod / Mandawa). This town and the nearby areas of Shekhawati region are famed for its beautiful painted haveli’s (mansions) which were constructed by wealthy merchants of the region in the 18th and 19th centuries. Overnight stay at Mandawa hotel. After breakfast drive to Bikaner. In the afternoon you will be taken on a half day city tour of the Junagarh Fort, excursion to world famous rat’s temple at Deshnok town. Overnight stay at Bikaner hotel. After breakfast drive to Jaisalmer, Driving through the Rajasthani Thar desert you arrive at Jaisalmer, one of the jewels in India’s crown. Exquisite wood and sandstone buildings dot the town and within Jaisalmer Fort are homes, hotels and shops hidden in ancient lane ways. Overnight stay at Jaisalmer hotel. Visiting the JAISALMER FORT - The oldest living Fort in the world and some astonishing havelis (Mansions). In the afternoon, proceed to the SAM or KHURI SAND DUNES for brief Camel safari & a typical Rajasthani Desert Village. View the sunset from the dunes, as the sky is set on fire. Return to the village for dinner amidst Rajasthani musicians playing haunting tunes. Stay overnight at the SWISS TENT CAMP/ HOTEL. To have an camel safari and stay at night in the desert or come back to Jaisalmer and sleep in the hotel it is up to your choice Times India Travels team will follow your choice. After breakfast drive to Ranakpur. 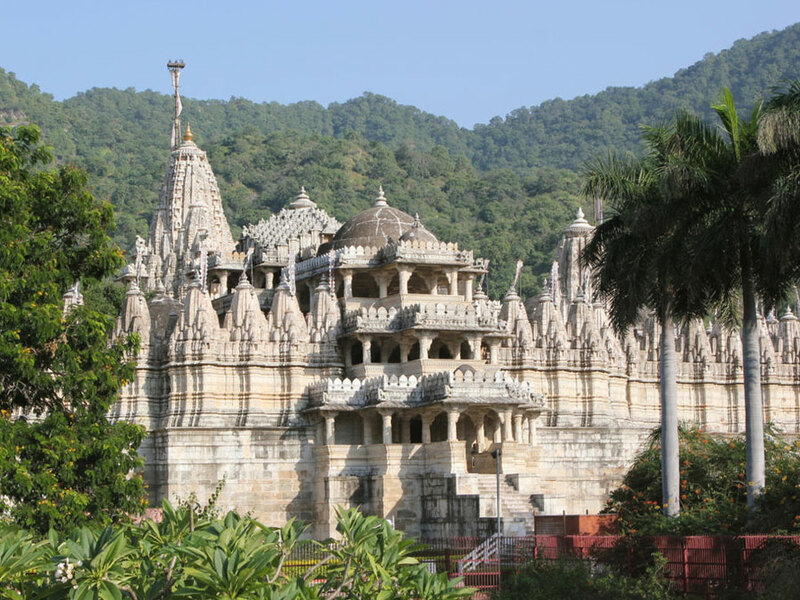 The eternal Jain pilgrimage centre of Ranakpur. Admire the workmanship from the 16th century temples & Kumbhalgarh fort - the stronghold of the kingdom of Mewar built by Maharana Kumbha in 1453. Visit the palace and see the beautiful mural paintings in the Zenana Mahal (ladies quarters). The view from the parapet wall is breath taking and this is where the soldiers used to be stationed to view the advent of the enemies. The fort has 7 gates through which we need to enter to gain access to the palaces. See the temple where Maharana Kumbha was treacherously killed by his own kith and kin during his prayer to win the seat of Mewar. Overnight stay at Ranakpur . En-route visit the Kumbhalgarh fort, visit The Kumbhalgarh Fort - the stronghold of the kingdom of Mewar built by Maharana Kumbha in 1453. Visit the palace and see the beautiful mural paintings in the Zenana Mahal (ladies quarters). The view from the parapet wall is breath taking and this is where the soldiers used to be stationed to view the advent of the enemies. The fort has 7 gates through which we need to enter to gain access to the palaces. See the temple where Maharana Kumbha was treacherously killed by his own kith and kin during his prayer to win the seat of Mewar. Overnight stay at Udaipur hotel. After breakfast continue towards Jaipur and reach by lunch-time and check into hotel. After lunch set off to see the Pink city visiting the observatory Jantar Mantar built in 1727 by Sawai Maharaja Jai Singh II who was a mathematician, an astronomer an astrologer and a great musician of his era. He built five observatories throughout India - Jaipur, Ujjain, Varanasi, Mathura and Delhi but only the one at Jaipur is functional. Then visit the City Palace of the Maharaja of Jaipur with a fabulous collection of robes and saris in cotton and silk with gold latticed work. Overnight stay at Jaipur hotel. A full day's program takes you to nearby Amber fort, then up to the awesome fortress by elephant. Evening at leisure in your hotel. In these three days you can visit following places in Katmandu and near by:- Katmandu’s Durbar Square is one of three durbar (royal palace) squares in the Kathmandu Valley. Visit Patan is 15 minutes drive from Kathmandu. Lalitpur, the city of beauty is separated from Kathmandu only by the Bagmati River and is the second largest town in the valley. 2 Pashupatinath Temple:- Not only is Pashupatinath the most important Hindu temple in Nepal, its one of the most important Shiva temples on the subcontinent and draws numerous devotees from all over India each year. Pashupatinath is considered to have a special concern for the kingdom of Nepal. Visit Bhaktapur City:- Bhaktapur Durbar Square is a conglomeration of pagoda and shikhara style temples grouped around a fifty-five window palace of brick and wood. The square is one of the most charming architectural showpieces of the Valley as it highlights the ancient arts of Nepal. 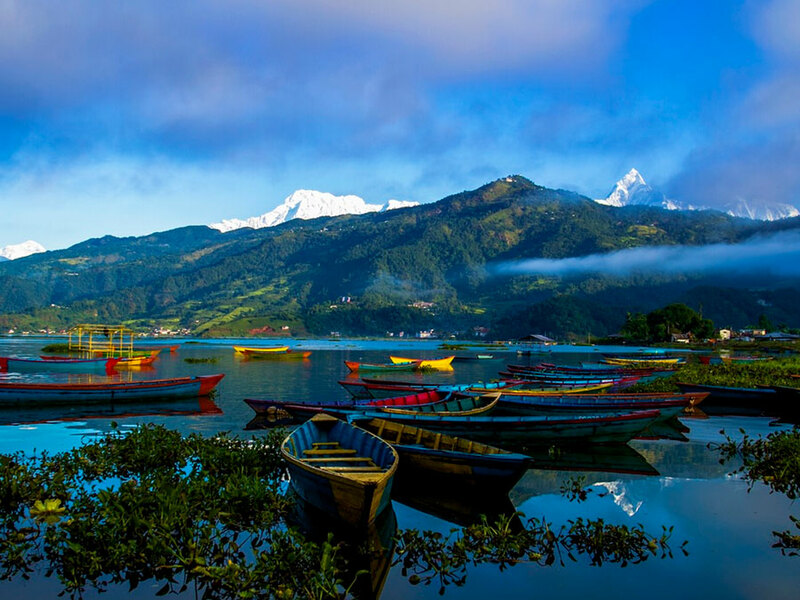 Nagarkhot, located 32 kilometers east of Kathmandu, is one of the most scenic spots in Bhaktapur district and is renowned for its spectacular sunrise view of the Himalaya when the weather is clear. Visitors often travel to Nagarkhot from Kathmandu to spend the night so that they can be there for the breathtaking sunrise. Nagarkhot has become famous as one of the best spots to view Mount Everest as well as other snow-topped peaks of the Himalayan range of eastern Nepal. 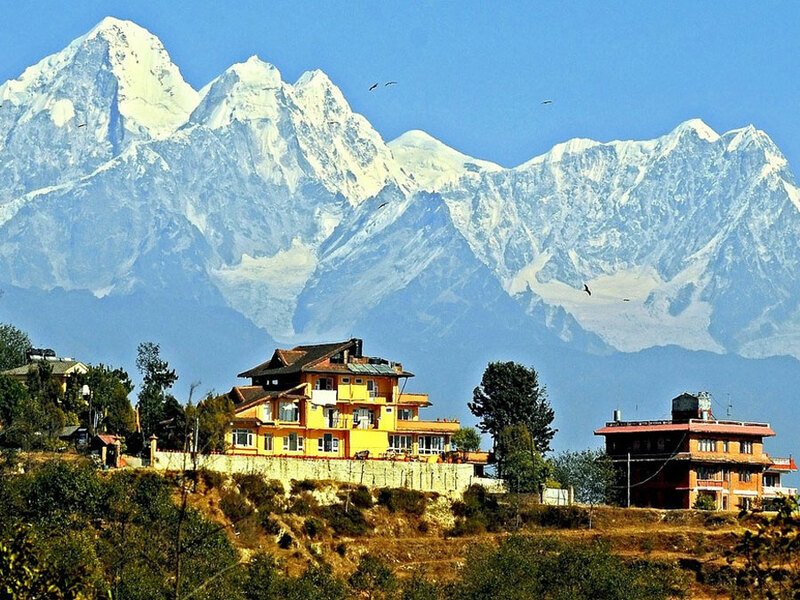 Dhulikhel:- This is a scenic and ancient town situated 30 kilometers east of Kathmandu on the Arniko Rajmarg (Kathmandu Kodari Highway). From here one has a panoramic view of the Himalayan range. From the main town, a short visit to Namobuddha, with the stupa and Buddhist Monastery, is highly recommended. Panauti, a village noted for its numerous temples with magnificent woodcarvings, is a short distance from Dhulikhel. Note:- All these above places to visit are up to your choice to visit or not.